In 2006, FamilySearch announced the intention to index all the records in the Family History Library in Salt Lake City, and the launch of an online tool called FamilySearchIndexing or FSI. In FSI, digital images of a series of records are published online, along with an on-screen form into which a volunteer extracts the information. Every record is transcribed independently by two different volunteers. The computer finds any discrepancies between the two transcriptions, and a third volunteer, an arbitrator, makes the final decision. Thousands of volunteers from all over the world are involved. 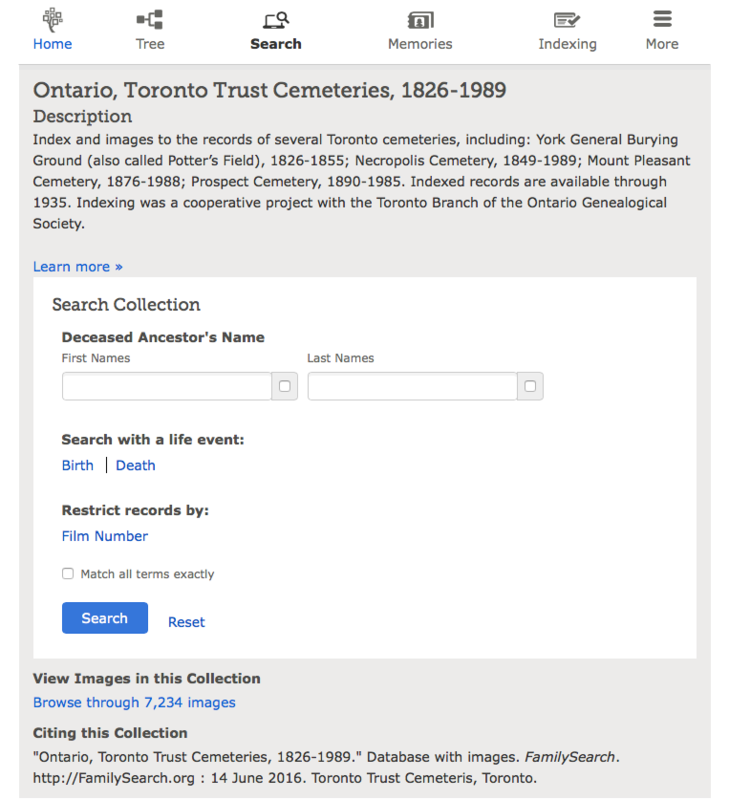 This is an exciting group of records particularly for researchers with late 19th and early 20th century Toronto ancestors. We’re very pleased to announce that our project was completed in 2013, and the index is available free to anyone in the world with an Internet connection. If you have questions about the Toronto Trust Cemeteries project, please email us. The results of our indexing efforts are now available free at FamilySearch.org.